We are a small company covering the Essex and London areas. All operatives are NPTC qualified minimum and experienced in both domestic and commercial arboriculture. 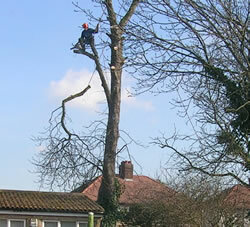 We pride ourselves in doing consistent quality work, from the smallest to the largest of trees. We aim to recycle all waste where possible. Please call for free estimate and friendly advice.